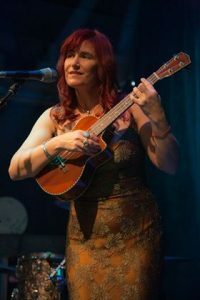 As a singer-songwriter, Josephine Johnson has continued to create music that resonates with the hearts of her listeners. Josephine is a talented instrumentalist switching between ukulele and guitar in her live performances. More often than not her songs are an insight into her life and tell the tales of her travels throughout world. One of the more extraordinary things about Josephine’s music and vocalizations is in that the way she sings, she makes you relate to what’s she singing. It’s so much more than the words she sings, it’s a voice and sound that captures the complexities of life, love and belonging. There’s universality to her music that connects to those in audience in a way that reminds you that you’ve come home. 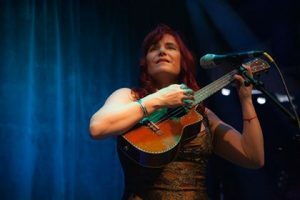 If you can judge a performer by the musicians who surround and have performed alongside her, then Johnson is in good company in the Modesto area. Forming a stomping ground here in the Central Valley has been dear to her and Modesto is close to her heart. Josephine makes a point to return every time she’s out west. Currently on leave from the southern hospitality of Savannah, Georgia, Josephine has once again returned to the West Coast. This time on her visit she took a moment to chat with ModestoView about her music, inspirations, her upcoming album, The Spark and more. Josephine Johnson: I’m a musician and songwriter currently based out of Savannah, Georgia, but lived twelve years in California. I went to school at Humboldt State and then ventured to Los Angeles to further pursue music. I actually loved living in Los Angeles. Things changed for me in May 2015 when the placed I lived in burned– I made it out with my bike, instruments, car, computer, passport, and diplomas. I was very lucky! For past few years I’ve been putting my music career back on track. Living in Savannah has been a boon musically–many opportunities to play and meet people from all over the country and world. Plus it’s given me the opportunity to record and produce a new album, The Spark, which be released in late July. JJ: Often, experience and emotion inspire the music I create. In fact, sometimes, it’s like working through a journal entry but looking at an experience and trying to convey it in a more universal way so that it’s not so personal and incident specific. Finding new ways to extrapolate an experience is an enjoyable challenge. Other times, a headline or someone’s comment in social media inspires and compels me to write. For example, the song “Reclaiming My Time” the lead track on the new album, was inspired by Maxine Waters and a snarky Facebook comment. Someone commented that “women are like wine, they either get better with age or become vinegar.” So, I combined the ethos of those along with a few other ideas to create a battle cry for taking one’s–irrespective of gender–time back. Personal empowerment all the way. JJ: In savannah, I’m lucky and grateful that I have multiple gigs a week. These are mostly cover gigs where I can throw in a few originals, sometimes more depending on the crowd. What I like about these performances is that I can take an ’80’s hit and re-work it into my own thing, of course still fundamentally recognizable. The shows I like most are the original showcases–these are 90%–95% originals–and I can weave in stories and thoughts between songs in a way that tells a cogent story, hopefully anyway! I’m very grateful to live in a place where I can make a living playing music, whether covers or originals. JJ: Wow, good question! The past eight months have mostly been focused on writing, producing, funding, and finishing The Spark. Some of the songs on the album are as many as three years old! The boundaries I’m pushing now are more on the business and promotion side of making music–kind of boring but super necessary. I’m excited for when I can shift focus and tackle the next writing/production project. I have an idea for a concept album I’ve been kicking around for a couple years. Mums the word on that for now, but it will be a boundary pusher for sure. MV:Who would you like to collaborate with and why? JJ: I would love to collaborate with Dolly Parton. She is one of my biggest childhood idols and remains a favorite musician to this day. Dolly is always so happy and funny, and I just know she’d be a blast to work with. I’d also love to collaborate with Explosions in the Sky. They need some fabulously tone-controlled ukulele to add to their sound. And I’m just the woman to do that. Love Explosions. 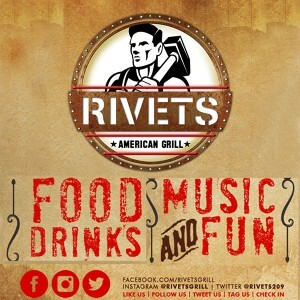 – June 23, Knights Ferry Saloon & General Store, Knight’s Ferry, CA.